Roy Turner is a Tupelo/Elvis Historian who is well-known in the Elvis world for his amazing research into this all-important period of Elvis' past. He was the major source of research behind Elaine Dundy's book 'Elvis and Gladys', has published several historical books about Lee County, has been involved in multiple Elvis projects and was the author of the recent MRS book 'Tupelo's Own; Elvis Presley'. 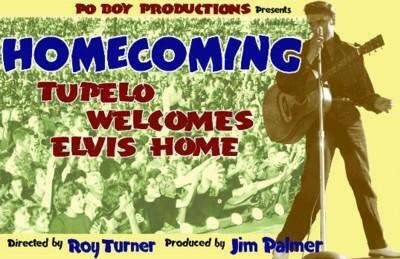 Along with his friend Jim Palmer, Roy produced a documentary about Elvis' 1956 triumphant return, 'Homecoming: Tupelo Welcomes Elvis' which was premiered at the 2006 Tupelo Elvis Festival. Roy Turner is a Tupelo / Elvis Historian who is well-known in the Elvis world for his amazing research into this all-important period of Elvis' past. He was the major source of research behind Elaine Dundy's book 'Elvis and Gladys', has published several historical books about Lee County, has been involved in multiple Elvis projects and was the author of the recent MRS book 'Tupelo's Own; Elvis Presley'. 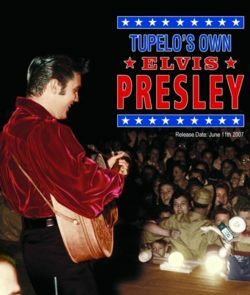 Along with his friend Jim Palmer, Roy produced a documentary about Elvis' 1956 triumphant Tupelo return 'Homecoming: Tupelo Welcomes Elvis' which was premiered at the 2006 Tupelo Elvis Festival. That film then inspired documentary maker Michael Rose to produce a more in-depth film based on the original. The recently updated edit of Roy Turner's documentary was premiered at Tupelo's 2008 Film Festival and it will be shown in the future on the Biography channel. EIN's Piers Beagley was lucky enough to meet up with Roy last year in Tupelo - and the time is right to find out exactly what he is up to in 2008. Roy Turner: After seeing the TV series Roots in 1977, I decided to research my own family. Suddenly history was interesting. It was my people who were affected by war, famine, blight and so on. I realized that I was who I was and lived where I did simply because of the fortunes and mis-fortunes of my ancestors. I began publishing genealogical records of Lee and Itawamba Counties in Mississippi. These were the counties my family settled in when they came to Mississippi. Genealogy and history go hand in hand. One compliments the other. Although I grew up in East Tupelo, went to Lawhon School, and had some of the same teachers as Elvis, I really was not a fan. I saw all of his movies, but then I saw all movies at the local Lyric because my great aunt Ica worked there and one of her perks was free tickets. I was born too late to be present for his groundbreaking 1950's era. Roy: When Elaine Dundy came to Tupelo in 1981 to research Elvis & Gladys, she asked the local library if they could suggest a local genealogist/historian to assist her in the research. We were introduced and were off to the races. Elaine was very interested in everything Elvis. The more we researched, the more I liked the guy and the more I discovered how similar our childhoods were. 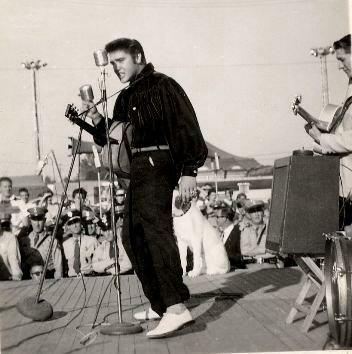 Roy: Tupelo was not proud of Elvis until after his death. I think many of the old timers just could not grasp what they considered to be "poor white trash" making something out of themselves - especially something as big as Elvis became. After his death, fans started sending money into the city to do something in memory of Elvis. This money was used to build the Chapel at the birthplace, but more importantly, it awakened something in the city fathers - Elvis was a tourist draw. Now what started as a mere method to make money has become something more and better. 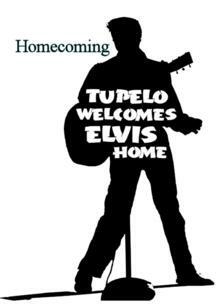 As with anyone touched by Elvis, even Tupelo and its residents came to appreciate him and be proud of him. At least most of the old timers did. Roy: I have known Janelle since the mid 70's. We were acquainted but did not have a lot of contact with one another. Janelle, in her own way, did her best to preserve Elvis' story. I admire her for that simply because she did during a time that it was not a popular item on the agenda. Her tenacity certainly preserved many things for future generations. Roy: Brother Frank is perhaps the single most important Tupelo influence on Elvis. At a very early age he was encouraging his singing and guitar playing. It was Bro. 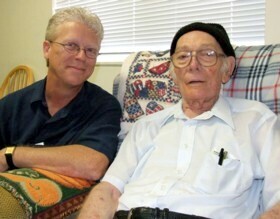 Frank who taught Elvis, and all the other kids of the Assembly of God Church in E. Tupelo, Old Shep. But Elvis embraced the song and made it his. Roy: Brother Frank never thought of Elvis as evil. He knew too well how they all cut up in church service when the spirit came upon them. When Elaine and I went to a little church in the Juda Community in Pontotoc County, MS, it was at the suggestion of Bro. Frank's wife Corrine. 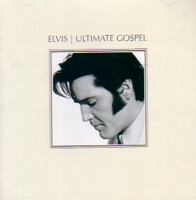 Corrine said if we wanted to see religion the way Elvis experienced it, we would have to go to the county - the city churches had become to sophisticated. After about three hours of the service in hot, Mississippi, humid, July weather in a little church with ceiling fans whirling and windows opened, we left. The service continued until way into the night. The people had danced around the entire sanctuary, shouting, writhing, fainting, wailing to exhaustion. Elaine remarked: I feel like I have been to an Elvis concert. Brother Frank's only comment of remorse was that he had a thought to go talk to Elvis about his spirituality about a month before his death. Bro. Frank regretted not following up on what he considered a message from God that Elvis needed to talk. Roy: I came close once and I think I saw him once. 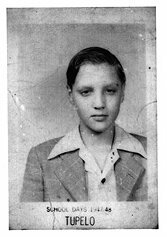 When I was in third grade (ca 1962), a murmur came down the hall, then someone stuck their head in the door and said Elvis is here. Our teacher told us to remain seated and quite and she would be right back. We got all excited that Elvis would sing in the auditorium where he sang as a child. But it did not happen. It was spring and the windows were open. Elvis walked up to the window at Mrs. Grimes’ 5th grade class and stuck his head in and said, "Hey Teach." They talked at the window – then he was gone – and so was my chance to see him. We boys played at Tulip Creek as kids. Fishing, swimming, etc. At the time it was a gravel road and a wooden bridge. We were leaving the creek one day when a black Lincoln with dark window came down and stopped at the bridge. One of us said "that looks like Elvis in the back seat" and we went on our way. Later while researching E & G, James Ausburn told me how he and Elvis played at the same creek as kids. Then I read where Elvis liked to bring his new friends to Tupelo to show them where he was born and played and went to school, etc. I think it was Elvis that day. Missed him again. Roy: It was the greatest summer of my life to that date. I always had stars in my eyes and loved old Hollywood and the studio system – the whole pie. Elaine was very glamorous. She knew everybody I had admired as a kid: Vivian Leigh, Olivier, Orson Wells, and had met and threw a party for my childhood passion, Marilyn Monroe. I learned so much from her – how to research a biography. How to interview. And most of all I made a friend. That friendship lasted for 27 years. Until her recent death. When she left I told her I was sad because I knew I would never see her again. And she responded "oh yes you will. We will work together again." And of course we did. I miss her greatly. We talked weekly and sometimes three times a week or three times a day. I owe her so much. Roy: Good question. I just don’t know. He certainly would have been a different person. Poverty in E. Tupelo was not like poverty in a large city. The community supported one another. If one person had a Kodak camera, they all had access to a Kodak camera. A radio, sewing machine and so on. 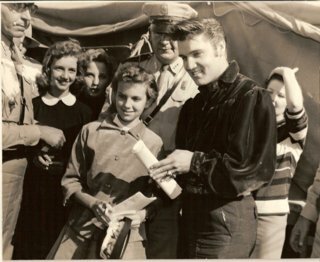 The constant encouragement Elvis received in East Tupelo was important to him. I am not so sure he would have received the same in Memphis, because when he got to Tupelo proper, the kids at Milam treated him differently from the kids at Lawhon. No doubt he would have become a sensational performer, but the sweet, humble, honest Elvis we all knew and loved would have been a different man had he had a different upbringing in different surroundings. Roy: Yes. I was so excited. I had heard for years that Charlie Boren’s widow, Jean had the photo. When she pulled it out my eyes popped out of the sockets. After the interview, I said, "I know the answer to this question, but I am going to ask anyway. Is there any way you would let me take this photo and scan it into my computer?" She looked at me rather matter of factly and said, "I have never let that picture out of my site. (pause). . But, I am going to let you take it because you look honest." Wow! And I did and returned it two days later. Roy: You know Elaine coined the phrase GODSHOT. She said she would be at the right place at the right time and something would just fall into her lap. The Elvis Homecoming story was my Godshot. Jim and I started because I had talked about doing it for a decade. Jim said quit talking and do it. Little did we know the 50th anniversary was just around the bend. 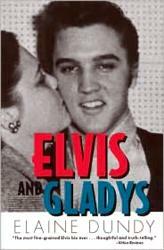 I had acquired the good faith of several people who had Elvis stories over the years and photos. They were more than happy to let me use them. Godshots! What else can I say. Roy: I thought is was an awesome job. Beautifully packaged. First Class as all of Joseph’s work is. I was totally pleased to be a part of it. For us fans to hear the stories in their own words and voice is great. Jim and I had the interviews for our film, but could not work them into our format. Michael has done a great job with them. They were interviewed not long after Elvis' death by Gwen Posey. Thank God for her foresight. Also, Mary Magdaline Morgan - Elvis' first girlfriend at Lawhon - is interviewed. 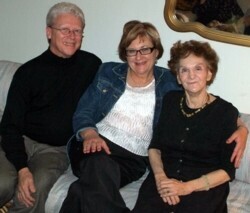 ... And Elaine Dundy gave her last on camera interview for the film. I hope everyone will be as pleased with the end result as I am. 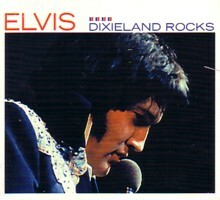 Visit the Elvis Presley Scrapbook website for more EP images.